Taking climate change seriously means taking a hard look at proposals to expand fossil fuels in the region. Science tells us we need to move quickly – run, don’t walk – away from fossil fuels to cleaner, renewable sources of energy. The massive new pipeline proposed by Vermont Gas will run (not walk) through Vermont and across Lake Champlain to serve an industrial customer in New York. It will be a pipeline in place for 50 to 100 years – long past the time we need to move away from fossil fuels. Common sense says a new fossil fuel project will increase greenhouse gas emissions. The analysis from Vermont Gas defies common sense. It is based on unreasonable and unrealistic assumptions about future uses, methane leaks and the global warming features of methane. 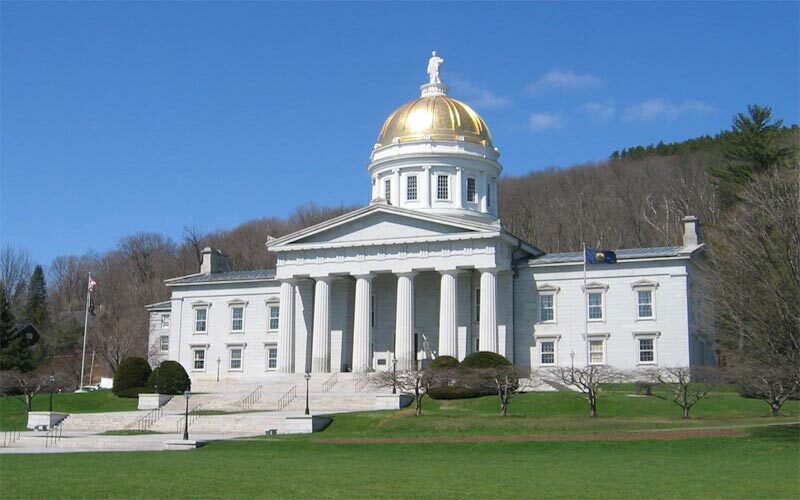 Following current science, CLF filed testimony at the Public Service Board showing the troubling and faulty analysis by Vermont Gas. Professor Jon Erickson, a leading ecological economist at the University of Vermont explained the imperative to reduce emissions based on the recent IPCC assessment and how expansion of natural gas “would likely result in considerable, long-term lock-in to natural gas use resulting in total GHG increases and nonrenewable energy dependence that is incompatible with long-term state policy.” (p.8). You can read the testimony here. 1) leak rates that underestimate emissions (pp. 8-10); 2) emission estimates that do not correspond to the system that supplies gas to VGS (p. 10); 3) unreasonable assumptions by VGS that all gas will replace oil (p. 10-13); 4) failure to use the most recent figures for the global warming potential of methane (pp. 14-16); and 5) failure to account for excess capacity (p. 16). These shortcomings show that VGS significantly underestimates the emissions that will result from the project. Ms. Cleveland then identifies steps that can be taken to reduce emissions and make sure we use our limited supply of gas wisely. (p.20-25). You can read the testimony here. James Moore, a developer of solar projects for consumers explained how cleaner, low cost solar is available now to meet heating needs and how expanding natural gas undermines Vermont’s ability to meet its clean energy goals. (pp.5-6). You can read the testimony here. As President Obama said in a recent interview with Thomas Friedman of the New York Times: “Science is science …. And there is no doubt that if we burned all the fossil fuel that’s in the ground right now that the planet’s going to get too hot and the consequences could be dire.” Concerning natural gas, where methane leaks can wipe out any climate benefits of natural gas, it is important for states to get it right. That means saying “NO” to carte blanche approval of massive new pipelines. It also means industry and regulators building in conditions to pipeline use that support the needed transition to cleaner and lower cost energy supplies.